Businesses interested in retaining IAVA’s consultancy services will be supported by a team of experts in veteran employment and related issues; all are veterans, veteran family members, or have very strong personal mission connections. 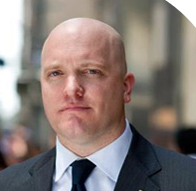 Paul Rieckhoff is the Founder and Chief Executive Officer of IAVA. From 2003 to 2004, Rieckhoff served as an Army First Lieutenant and infantry rifle platoon leader in Iraq. A nationally recognized authority on the wars in Iraq, Afghanistan and a broad range of issues affecting troops, veterans and their families, Rieckhoff has appeared on hundreds of television and radio programs and has contributed to dozens of print media outlets. His first book, Chasing Ghosts, a critically-acclaimed account of his experiences in Iraq and advocacy on behalf of veterans, was published by Penguin in May 2006 and released in paperback in May 2007. He has received numerous awards for his leadership and advocacy on behalf of veterans including a Global Ashoka Fellowship; GQ’s “50 Most Powerful People in D.C.”; the Common Ground “Celebrating Home Award”; and the Generation Engage “Lewis Cullman Civic Engagement Award”. As Senior Military Fellow, Commander Jeremy Butler, USNR, is responsible for building networks to find strategic partners and corporate foundation donors. Jeremy joins IAVA with 15+ years of experience providing substantive and strategic counsel to leaders in high-profile government and private sector offices, to include the Departments of Defense and Homeland Security. He is a graduate of U.S. Naval War College where he received a Master of Arts in National Security and Strategic Studies and is a Surface Warfare Officer in the Navy Reserve. As Director of Political and Intergovernmental Affairs, Allison supports the development of IAVA’s annual policy agenda and advocacy campaigns and leads IAVA’s engagement with other Veterans Service Organizations, government agencies and advocacy organizations. Allison is a former Army Captain who served two combat deployments in Iraq and has a diversity of experience that includes stints on political campaigns across the country, in the White House and on both sides of Capitol Hill. She recently served as Chief of Staff and Campaign Manager for Congresswoman Cheri Bustos and was also Press Secretary for Senator Jim Webb where she was involved in efforts to protect the legacy of the Post-9/11 GI Bill. Dr. Maffucci is Research Director for IAVA. She holds a Bachelor of Science from Cornell University and a Doctorate of Philosophy in Neuroscience from The University of Texas at Austin. Prior to her position at IAVA, Dr. Maffucci spent nearly four years as a consultant to the Pentagon focusing on behavioral health policy for the Army. This included over two years spent on the Army Suicide Prevention Task Force. Among other responsibilities, she acted as the liaison to the Department of Defense research community working to translate research into policy. Additionally, she was Editor in Chief for The Journal of Washington Academy of Sciences from 2010-2013. Dr. Maffucci currently serves on the National Center for PTSD Education Advisory Board and the Department of Veterans Affairs Women’s Health CREATE Veterans Council and the National Academic Affiliations Council. She has contributed to the Chicago Tribune, Yahoo! News, and The Baltimore Sun, as well as other television, print and radio outlets.